View the latest issue of Properties now for free in high resolution digital format, featuring interactive ads that take you directly to advertisers' websites with one click! Fill out the Construction Progress Report submission form. 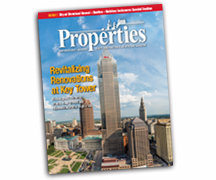 Copyright © 2014 Properties Magazine, Inc. All Rights Reserved.